Toptal is thrilled to sponsor the UK’s largest free, community-driven tech conference, taking place December 1 and welcoming 1,000+ attendees! In one full day, this conference will have 35 talks on 4 tracks, featuring expert speakers from throughout the world. 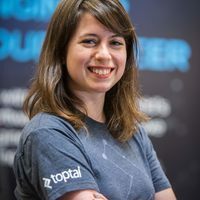 Amanda Vilela, a Toptal designer, will be one of these speakers, presenting a talk titled PWA beyond theory - How to create your progressive web app. Join her at 11:50am to learn about the real-world applications of PWAs, and go through a demo project. Felipe Bernardes, a Toptal developer and Community Leader, will speak at 3:30pm. His talk, titled Immersive journalism with AR and VR, will explore utilizing AR and VR technologies to offer a better, more immersive content user experience — with a demo of how it can really work. For more information on this event and to get tickets, please see the official website.